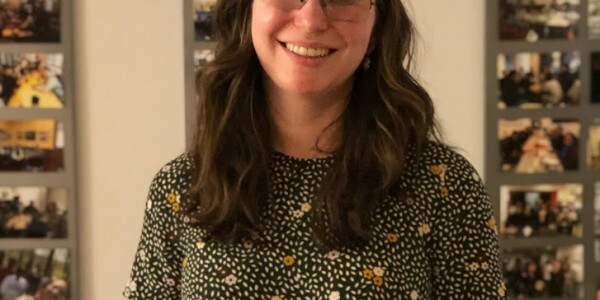 Melissa VanSant, GLN Intern – Marketing, Communications and Outreach, shares her insights from interviewing Elissa Hawkins, a volunteer, student and alumna of GLN’s internship program. Beginning as an intern, Elissa Hawkins is currently a student and volunteers every Wednesday night with The Global Language Network at their Farragut location. She embodies the organization’s mission of, “Using language as a tool to help fix our world”. Elissa has now taken 4 classes with GLN, consisting of 3 different languages including Spanish, French and Korean. While uncertain of where to lay her roots, Hawkins knew she wanted to interact meaningfully with people, and “understand people through their own perspective”. Born in Los Angeles, Elissa was introduced to the Spanish language and began searching for its cultural application. While getting her masters, she traveled to Madrid where the language permeated her daily life and she felt confident in employing it throughout her time abroad. For Hawkins, this was “a nice time to build on fluency and get comfortable with the language”. After moving to Washington DC, Elissa found The Global Language Network and began her work with them as an intern. This was the start of her enthusiastic involvement in GLN through multiple roles. Her responsibilities involved administrative work within the office, where she developed her professional skills and gathered the courage to move to South Korea for a teaching gig. An instructor to Seoul, South Korea’s middle-school aged children, Hawkins taught a variety of topics in the English language. Her favorite was geography. The kids were unaware of the difference between South Africa and South America. This provided Elissa with an insight into the importance of learning culture alongside language, and she promised herself she would continue teaching abroad and helping people in the ways she can. Her motivating factor: the fear of complacency. After battling her share of flying apartment cockroaches and growing accustomed to hyper-crowded streets and corridors, she moved back to LA. Elissa suspended her travel back to LA in favor of a vacation in Paris, France. She immediately adopted its environment as her emotional home but continued onwards towards LA with the realization that she wanted to learn French. Additionally, Hawkins vowed to evolve France from her emotional home into her physical one sometime in the future. Spending two years back home in LA, Elissa Hawkins’s motivating fear of complacency resituated her in DC at a charity aid foundation that investigates fraudulent use of charitable funding and money laundering. Fearful that her Spanish fluency was in decline, she joined Leopoldo’s Spanish Frequent Flyer class through GLN during their Fall semester. The class reinforced her foundations in the language and particularly appreciates its conversational dynamic. Actually, Hawkins enrolled in Spring for a second semester of Leopoldo’s class to maintain the confidence she had built. According to Hawkins, “interacting with native speakers” and “being able to use the language in class” has improved her competency in the language. She said “I feel more confident in the language again. And it’s nice to meet people with the same interest in that language and culture”. Leopoldo’s class reinvigorated her enthusiasm for language learning, so she fulfilled her promise to herself and enrolled in GLN’s French Explorer class. Elissa enjoys how fully immersed in the language and culture she feels when in the classroom, since the teacher conducts each class completely in French in accordance with GLN’s learning model. Hawkins believes her foundation in Spanish expedited her learning of French and wonders which language she will tackle next. Elissa knows she will someday live in France, but right now she feels comfortable with her home at GLN. For anyone interested in interacting with culturally relevant topics and meeting engaging, diverse people, she believes “language is the best way to do it”. And the best way to learn a language is with The Global Language Network, a special community thanks to dedicated participants such as Elissa and many others. Thank you to Elissa and to GLN’s instrumental volunteer team members who give generously of their time while gaining skills and helping others to learn and to share. Join us as a volunteer yourself to become part of this dedicated and interesting team that makes our classes possible through their time, energy and motivation. Apply by completing our GLN Volunteer Application and by emailing volunteer@thegln.org.